Founded in 1928, Farmers Insurance is now the nation’s third-largest insurance company. It sells, among other insurance products, car and truck insurance. The company is owned by Zurich. Always a significant player in the car insurance market, Farmers purchased AIG's auto insurance division (renamed 21st Century to remove the taint of the AIG name) a few years ago. Farmers also recently bought Bristol West, a car insurance company that began in Florida but is now selling coverage throughout the country. Accordingly, our law firm is seeing even more of Farmers. We regularly handle claims against this sometimes difficult insurer. In our experience, Farmers is a difficult company to deal with for settlement of car accident claims. (Ironically, the parent company, Zurich, is easier to deal with on injury claims.) One big reason: they rely on a computer-based program – Colossus – to evaluate personal injury cases. Paradoxically, we think this can be of benefit to accident victims in minor cases because sometimes Colossus suggests more in money damages in some smaller cases than would be expected. 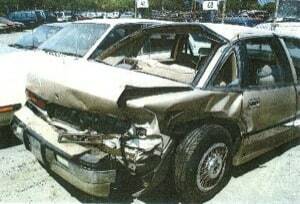 But in a severe case, you are rarely, if ever, going to get fair value for your accident claim before filing a lawsuit. Moreover, computer programs used to create a settlement formula are just silly because they take out of the equation both the subjective qualities of the claimant (judges and juries give more to good, honest victims) and the fact that not everyone responds the same to car accidents and their injuries differ as well. Computer programs are one size fits all. The real world in personal injury cases is very different. Some of the adjusters we deal with on Farmers claims in Maryland are Octavia Hall, Jeffrey Silfies (PIP), Ralph Malus, Roxana Atela, Kelly Gallagher, and Tina Deans. These are ultimately nice people but they have their orders from above... and their computer program. Things do get more reasonable with Farmers once a lawsuit is filed. Crosswhite, Limbrick, Sinclair and Gorman & Williams often represent Farmers in personal injury cases. These are both excellent law firms and they understand the value of car accident cases in Maryland. This is why you see very few severe injury cases involving Farmers' insureds that actually go all the way to a jury verdict. Much ado was made a few years back about how Farmers had an incentive program called "Quest for Gold" that offered pizza parties to its adjusters that met low claims payments goals. People were upset by this. Our lawyers were not surprised by any of it. We just assume this happens everywhere. This company just got caught. These companies make money by taking in premiums and not paying claims. To be melodramatic: it is war. We have gotten reasonable settlements from Farmers. But the only way we get this is by, furthering the war analogy, the threat and use of force. It is the reality of dealing with insurance companies. Farmers may be a bit more extreme than some other insurers, but they are all largely the same. They put profits over people, including their own customers. The only way to combat these insurance companies is with heavy artillery. In this fight, heavy artillery is a law firm with a long history of success in these cases that truly cares about the clients the lawyers serve. Our firm has successfully handled many auto accident claims involving this insurer. If you have been injured in a vehicle crash, call us at 800-553-8082 or click here for a free consultation. Don't want a lawyer? Bad idea (probably). But this is information you can use in preparing your claim.